When I first began Beamly, I had no idea what a calibration test was. But once I figured out what I could do with it and what I could learn, I was instantly obsessed. A big part of what we do at Beamly involves constantly testing, learning and iterating on the trends we see daily. Calibration tests are designed to help brands learn how different creative approaches resonate with their target consumers. The patterns we've found from our research, data and surveys were leveraged in this calibration test, and continue to be used to guide brands when future creative campaigns are developed. 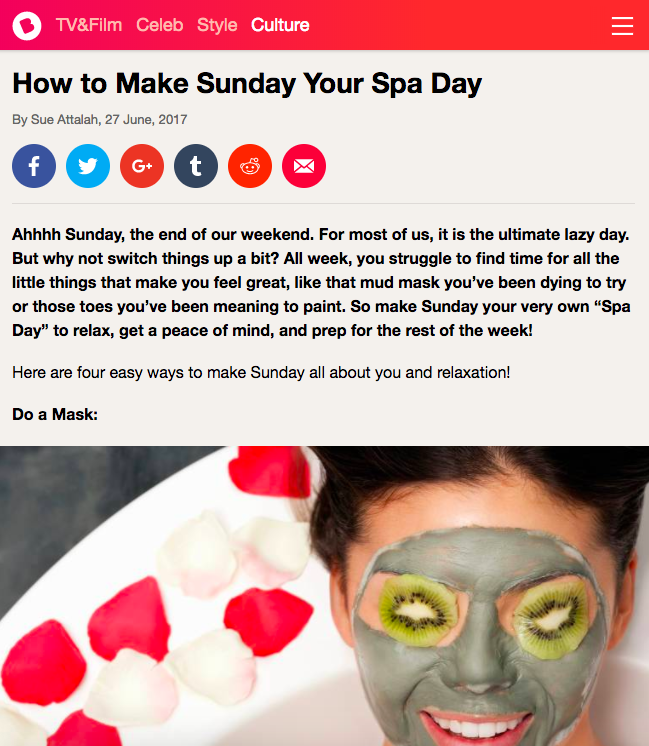 Opportunity: Better understand how Sally Hansen consumers use and understand different terminology around the concept of "At Home Beauty/ Self Made Beauty/ and Self Care"
Several surveys were conducted by Beamly and The Foundry (my specific team in Beamly) to understand what beauty consumers identified with the most. The cultural landscape is changing every second, which means brands need to keep up, and we need to keep asking the right questions. From our survey results, distinct patterns kept showing themselves. 1. Women enjoyed performing beauty treatments at home, saying it made them feel good. 2. Women enjoyed performing beauty treatments at home because it saves them time and money. 3. Women enjoyed performing beauty treatments before a special or specific outing. 4. 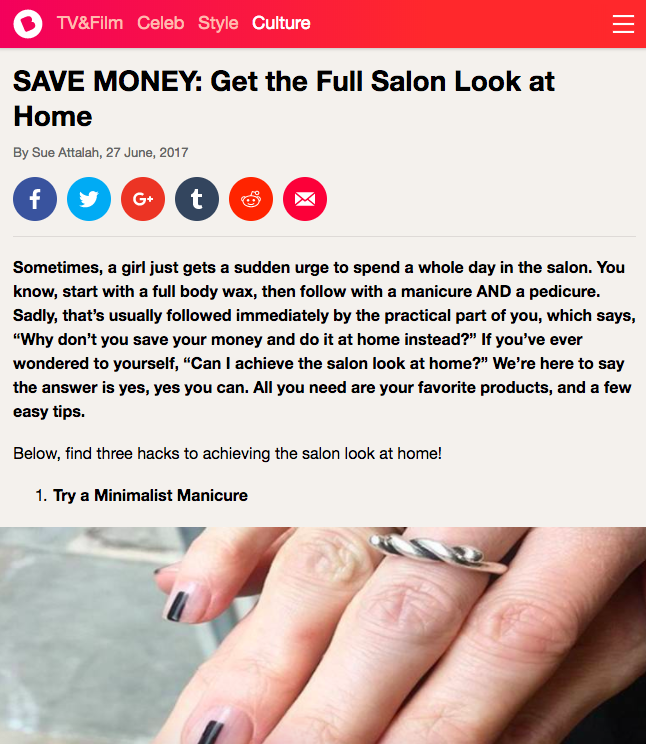 Women chose "painting nails" as their favorite at home routine. 5. Women were more inclined to perform beauty treatments if the product was easy to use. We DRILLED this into our heads. Though five solid points came from our learning, ultimately three strong insights were formed. 1. Enjoyed engaging in at- home beauty treatments. 2. Like using products that are easy to to use and more affordable than salons. 3. Love getting ready for fun activities. I wrote six articles in total, one for each interpretation. These are all products Sally Hansen has to offer. The point was to see which variant or product mention received higher engagement from the target consumer. Glad the hard work paid off. Our data proved correct! Women gravitated towards content talking about tanning and painting their nails before heading out for a night on the town with the girls! This concept was then leveraged into a few Sally Hansen content executions, making all of it worthwhile.